What happens to your driving licence when you turn 70? According to Department for Transport statistics * older drivers have been in fewer reported accidents than younger ones. The report from 2015 states that 15.36% of reported accidents were involving drivers aged under 24 compared to only 5.95% involving drivers aged over 70. The UK rules for older drivers originate from the same rules that govern the EU. There has been nothing published to say what will happen following Brexit. 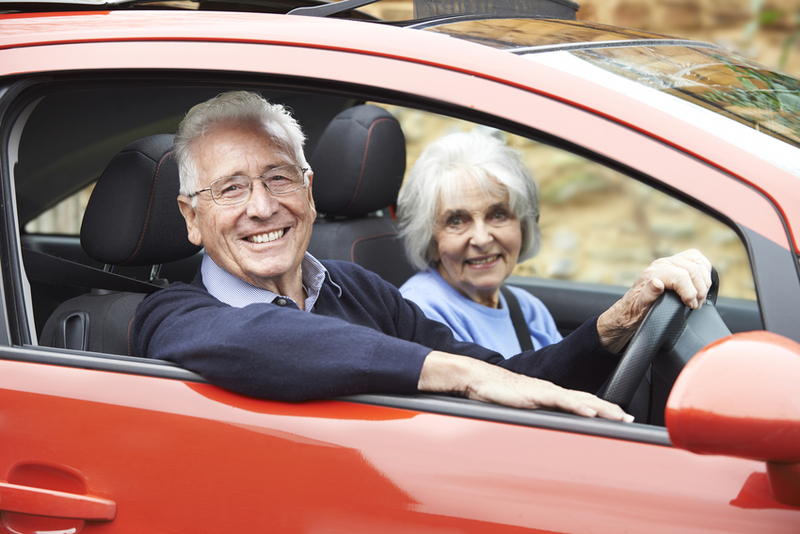 In July 2017 DVLA released figures to show that the number of drivers over the age of 90 had reached 100,000 for the first time ever and that there were more than 4.5 million drivers over the age of 70 in the UK. These figures reflect the ageing population of Britain. So what are the laws surrounding older drivers? Do drivers over 70 need to retake their driving test? In short, no. However, drivers need to reapply for their licence at the age of 70 and every three years thereafter. There is no requirement to take a test but applicants must declare that they are fit and healthy to drive and their eyesight meets the minimum requirements for driving via self assessment. A medical examination is only required if those over 70 want to drive a medium-sized goods vehicle or minibus. How do I renew my licence when I am 70? Usually a renewal form (D46P) will be sent from the DVLA 90 days before you turn 70 which you can complete and return to them. Or you can renew your licence online on the government website https://www.gov.uk/renew-driving-licence-at-70 using your Government Gateway ID. There is no fee for renewing the licence. If you don’t renew your licence after you turn 70 you will be unqualified to drive, even if you are fit and able to. The renewal form is a self assessment, however if you have been advised not to drive by a medical professional then you should adhere to their advice. Some medical conditions can interfere with your driving ability at any age. The DVLA has devised an A to Z of medical conditions that are considered to affect driving ability. If you are unsure of your driving ability you can arrange an independent assessment of driving skills to determine whether or not you are fit to drive, you can arrange this through your GP or another health professional. Are driving rules for over 70s likely to change? The Conservative government stated in 2015 in their Road Safety statement that they would ‘ensure that the medical assessment and licensing regime for older drivers keeps apace of current life expectancy and health trends’. Is there a legal age at which to stop driving? There is no upper age limit to driving in the UK, as long as you are fit and able and you have renewed your licence you are legal to drive. We all know as we get older some things can become more difficult, and driving might be one of them. Getting in and out of a vehicle, being able to crane your neck to see while manoeuvering can all be a more strenuous task as you age. There are specialist adaptations you can have made for your car with equipment designed to make driving easier. Even better if you qualify for Motability then you can have this done when you order your vehicle as part of the scheme. It’s a good idea, when it’s time to renew your car that you think about the future and how long you are likely to be driving the car as you’ll want one that is flexible for any age and easy to get in and out of. *Drivers reported in accidents by gender, number injured, road user type and age, GB 2015 12.63% of drivers in reported accidents where age was not recorded. How can older drivers get cheaper insurance?